Peel the cucumber, grate it , sprinkle with salt and leave it to drain in a colander. Peel the garlic, crush and mix it with a pinch of salt, oil and lemon juice until it becomes a creamy paste. 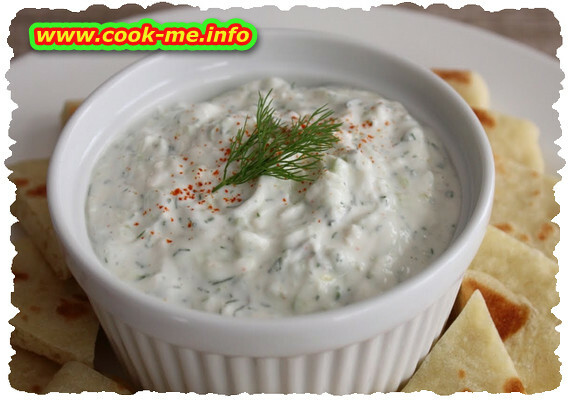 In a bowl, mix the garlic paste with yogurt, add drained cucumbers, dill and a pinch of pepper. Tzatziki is best to be served cold with stakes.